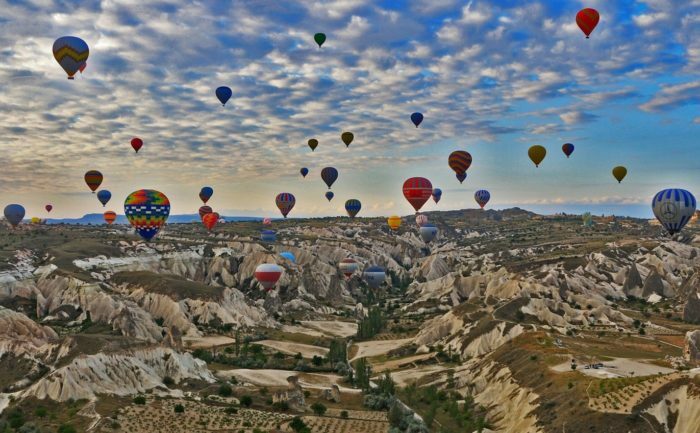 Cappadocia has one of the unique land formations in the whole world, making it one of the best destinations for hot air balloon rides. Experience a breathtaking moment when you soar up to 1,000 feet above twisted rock formations, pillars are known as fairy chimneys and clandestine churches at Cappadocia in Turkey. 2,000 years of erosion created the stunning rock structures making landscapes in Turkey the best to capture on photos. March to December is perfect to enjoy the favorable weather on balloon rides. Have a bird’s eye view of the limestone houses in Cappadocia and enjoy a breakfast before taking off. Long before Napa Valley became a renowned for its food and wine, it was known for its hot air balloon rides. It is best to fly between April and October when the weather is best in Yountville, a quaint town where the launch site is located alongside the French Laundry Restaurant. 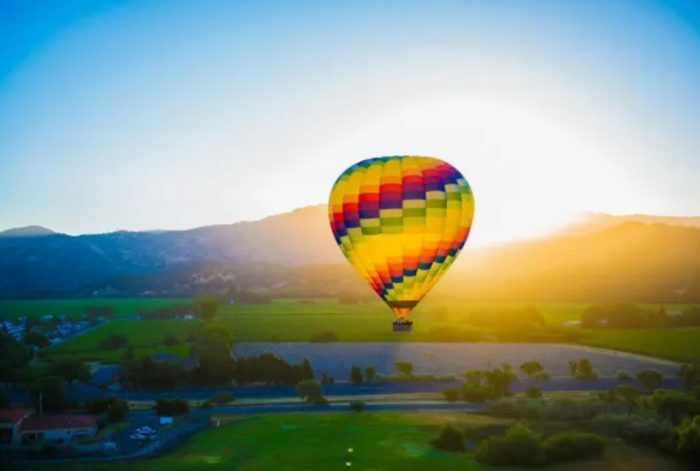 Soaring high on hot air balloon, you will catch a glimpse of the green rolling hills and huge vineyards with spectacle on clear days to the Sierras and San Francisco. 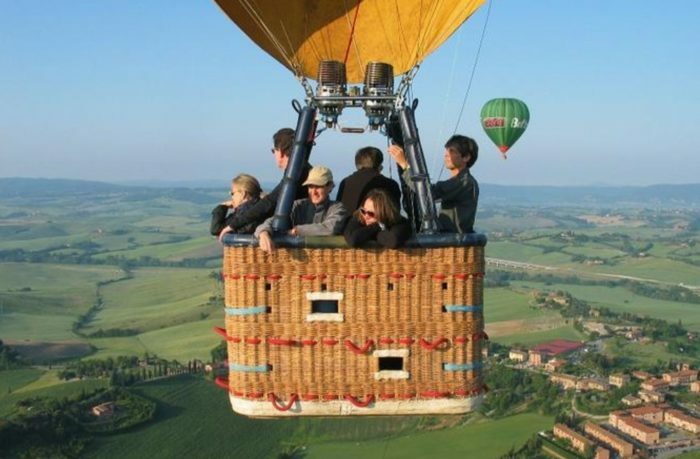 Like any other balloon ride packages, savor a hearty breakfast with wine when you touchdown. 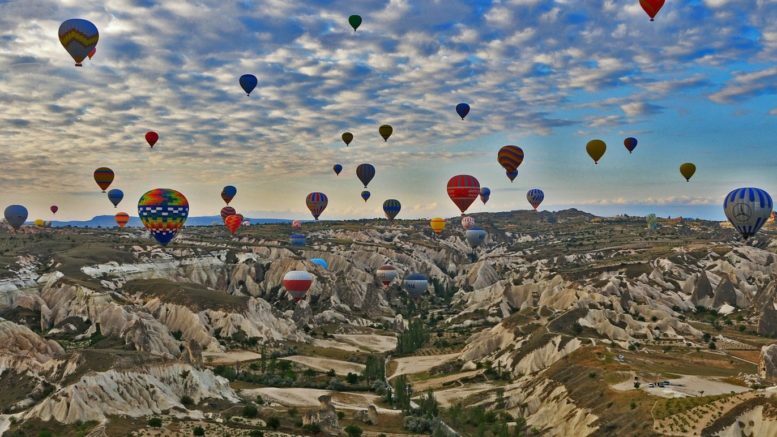 Its beautiful landscapes make it one of the perfect destination for hot air balloon rides from around the world. 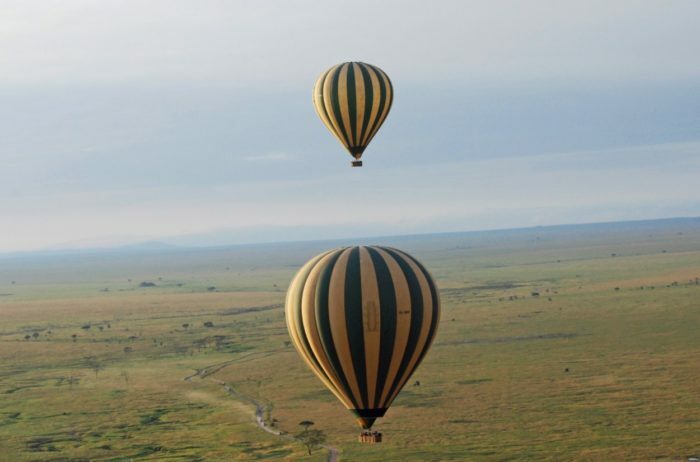 You get to enjoy a spectacular view of Serengeti from an extraordinary vantage point in its adventurous hot air balloon rides. You can witness hippos relaxing in the pools, lions feeding on their prey after a fresh attack, and a den full of hyenas. 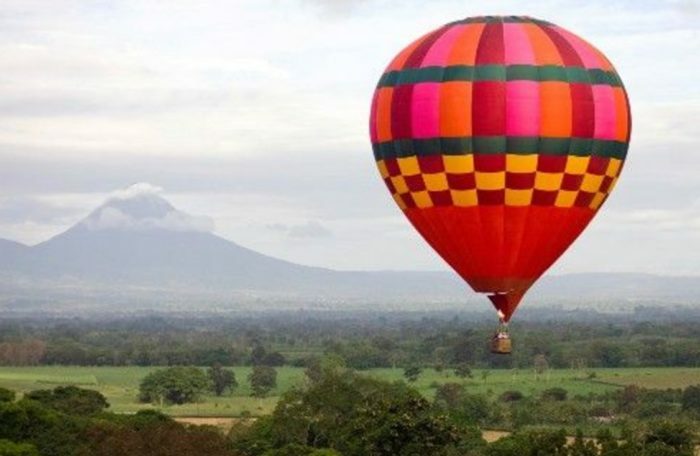 Riding hot air balloons in Serengeti enables you to enjoy a tranquil voyage on a hot air balloon with an opportunity to take amazing photos from high above. You get to see wooded hills beside vast plains and bodies of water lined with acacia and fig trees that turn orange color at sunset. Enjoy a champagne breakfast while enjoying mango trees all around. 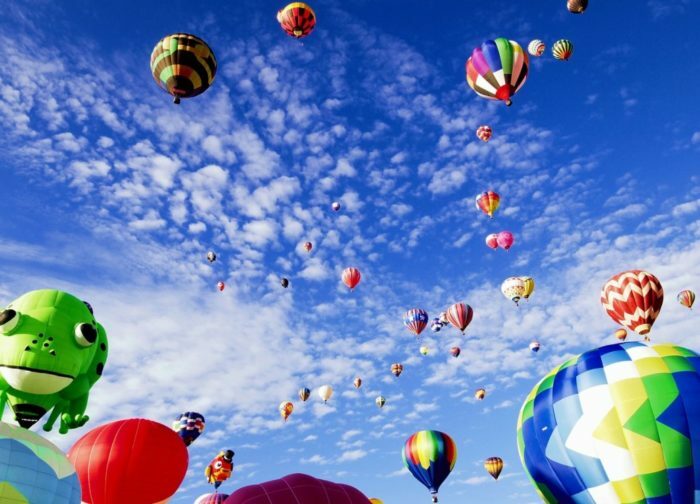 Above five hundred multicolored hot air balloons fly each October in Albuquerque New Mexico for the International Balloon Fiesta. It is the biggest event worldwide with a chance for small-time to professional photographers to shoot. They have a 365-acre park intended for Balloon Fiesta which also hosts unique-shaped balloon fairs and famous night balloon glow soon as pilots launch their burners all at once. This is one marvelous experience you will never forget so take advantage of the colorful display of balloons operated by worldwide representatives. The festivity, landscape, and huge crowd make it one of the best places for hot air balloon rides around the world. 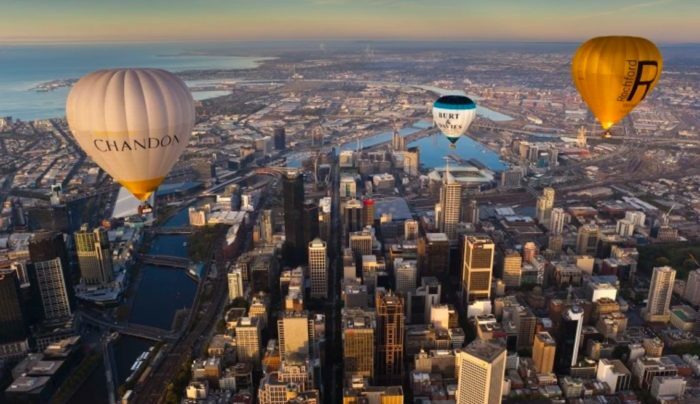 Discover Australia’s second largest city, with an excellent opportunity to get a bird’s eye view of Melbourne’s central business locality. Capture the distinguished landmarks such as the Rod Laver Arena, which is the place of the Australian Open. Of course, the famous Melbourne Park must not be missed as you take photos high above the gleaming skyline. Your adventure ends with an optional breakfast with champagne. Kids will love an amusement park that is inflatable adding to the attractiveness of the Montgolfières Saint-Jean-sur-Richelieu International Balloon Festival. It can be reached just 20 minutes when you come from Montreal. This festival held for nine days in August draws local folk groups as well as international musical performances to render astounding nightly group numbers on stages. Watch and enjoy taking photos of unusually shaped balloons as they soar high in the sky. 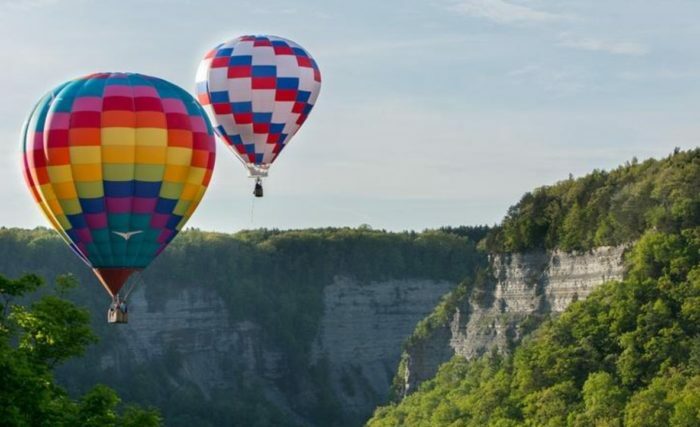 Hot Air Balloons offer an hour to benefit from the flight over Genesee River rolling through Letchworth Gorge over Letchworth, a company exclusively operating within the park starting May to the middle of October. Soar high viewing lush woods and upper or middle falls. Weather is averagely warm and dry in July to August, so you get a clear view below through September is best to capture Technicolor view of the vegetation and flowers spreading below. 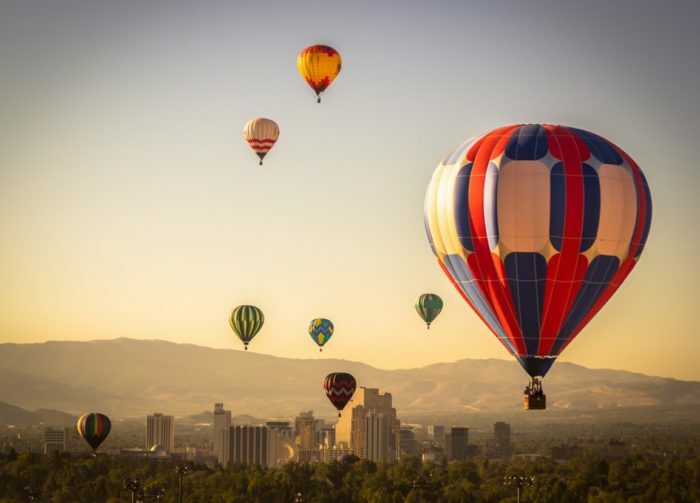 Take a shot of the Great Reno Balloon Race during September at the Rancho San Rafael Regional Park. Witness an excellent pre-dawn exhibition of different balloons in different shapes as they twinkle against dark clouds during the parade. Your family will enjoy food vendors everywhere and lots of tethered rides are being offered at a cheap price for kids. 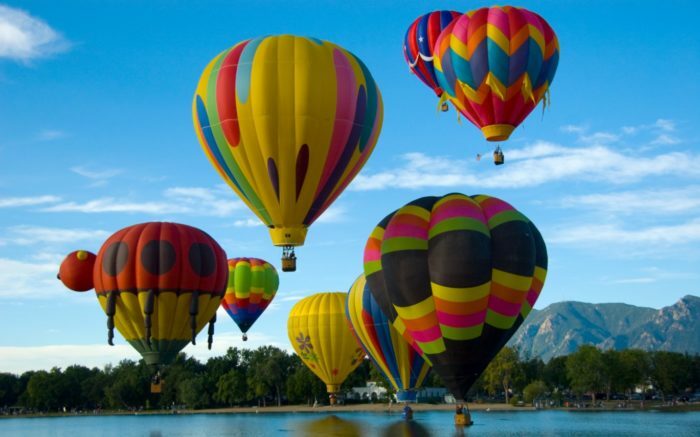 You might want to participate in this race of fantastic balloons so inquire about joyful rides in Reno. The capital of the first Myanmar Empire boasts white surfaces of thousands of temples and pagodas. 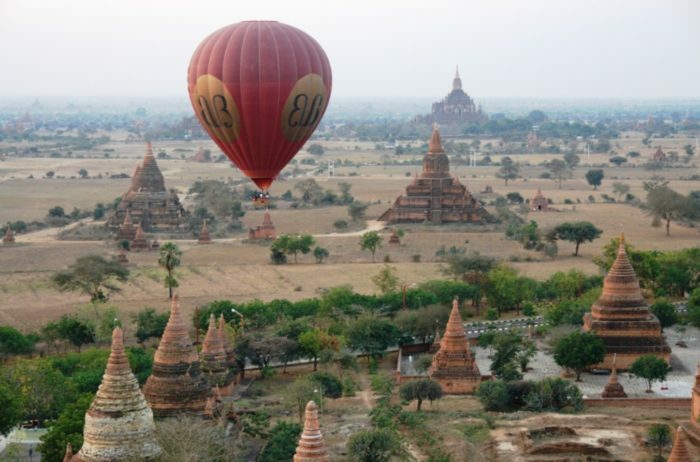 A balloon ride over Bagan in Myanmar is excellent and worth remembering when you witness the sun’s golden rays light up the view and paint all the temples in gold. The landscape consists of various monuments speckled all over more than fifteen square miles so a bird’s eye view would be genuinely an enchanting scene. Since 1977, the Colorado Balloon Classic Festival has been held every Labor Day Weekend drawing national, local and international people towards the Pikes Peak foot. When you get here, you will be able to behold the mass-launch of tons of jewel-toned balloons at the front of the mountain. 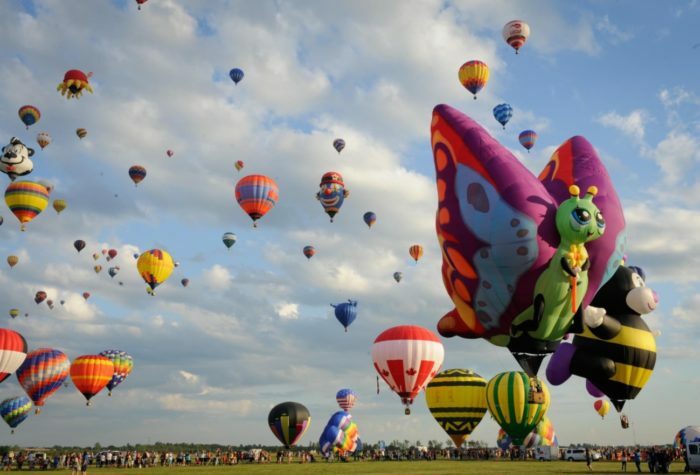 Come join the balloon festival rides so you get to experience a remarkable celebration of aerial travel with photo contests, evening live performers and hundreds of local food vendors to cater to every spectator. 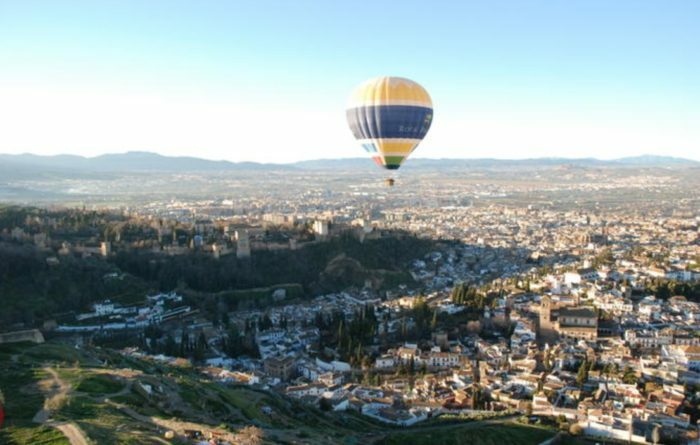 At Toledo or Segovia in Spain, you can soar to invigorating heights above the medieval myriad on a hot-air balloon from Madrid. You can choose which cities you like have an aerial view but Toledo offers appealing sights of its Old Town while Segovia provides an excellent view of its historical watercourse from above. You will have the chance to capture panoramic shots of old Toledo which includes the meandering River Tajo and the grand Alcazar of Toledo. Segovia, on the other hand, boasts its vast well-preserved aqueduct since the Roman times. 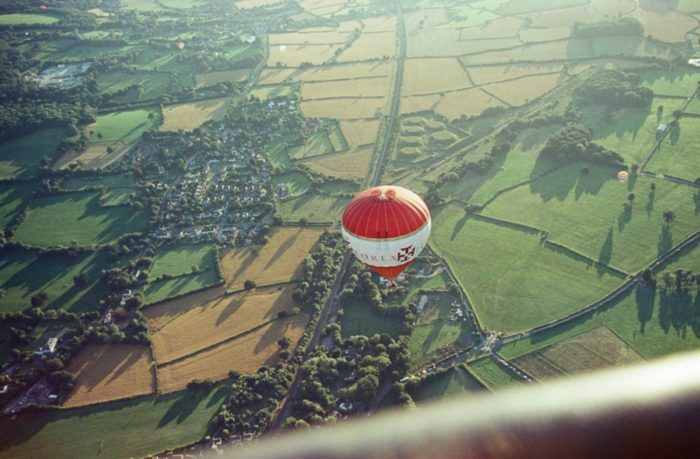 For those you seek for a thrilling hot-air balloon ride, you may try soaring high to Bristol, England skyline. Here you can witness the sunrise or sunset as you get a captivating aerial view of Clifton Suspension Bridge, Queens Square as well as Bristol Cathedral. Enjoy the spectacular bird’s eye view of Bristol Harbour alongside the Bristol University and SS Great Britain. Magical flight experience takes off from Ashton Court which is just a few steps to the marvelous Clifton Suspension Bridge. Take some photos of the stunning countryside as well as Bristol’s other landmarks such as St. Mary Redcliffe and Park Street from an aerial angle. Rise high above the splendid landscape of Catalonia, which is just near Barcelona on a five-hour hot air balloon ride starting early in the morning. Be amazed at incredible landmarks like the Pyrenees Mountains and Montserrat as you reach 3,000 feet during your 1-1 ½ hour ride. Feel how awesome it is to float gently on the cold wind as you enjoy marvelous views of the Mediterranean, the Sierras of Montseny and even view Barcelona on the high range when the weather allows a visible sight. 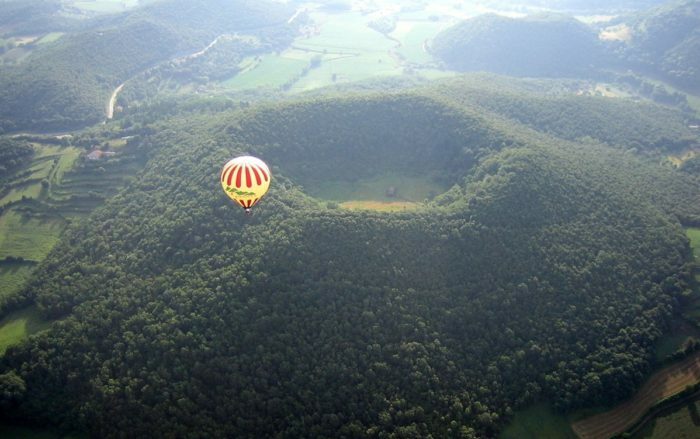 Explore the wonder of Catalonia’s dormant volcanoes from an aerial view at La Garrotxa Volcanic Zone Natural Park. Explore the blue skies as you soar high on a hot-air balloon where you can also see the blue waters of Istria Peninsula as well as the green mountains and islands dotted below. Rovinj is considered one of the many highlights of Istria since it is a medieval ancient town. You can see its Venetian heritage among narrow steep paved streets dotted with churches and medieval hill towns. You can also view the largest copy of Venice’s St. Mark’s Campanile. It can be all worth a day’s trip as you witness Oper and Piran in Slovenia which displays a magnificent Venetial Style view. Soon as you are airborne, you will savor the striking view of the Alps of Berne region. You will be able to get an aerial view of the popular Matterhorn and Mont Blanc so make sure you get your cameras ready! 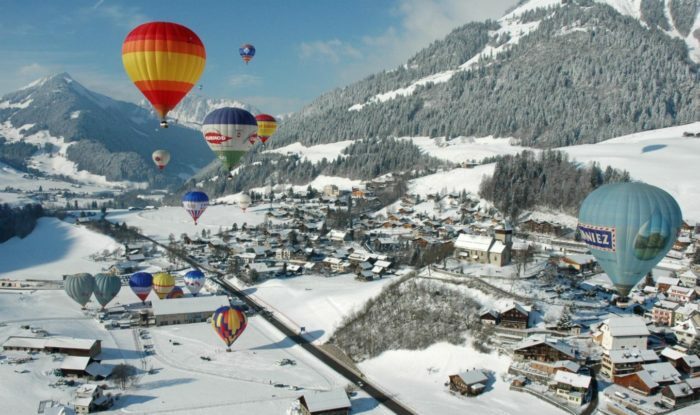 Feel the cold air above the mountains as you float away in a hot-air balloon, capturing every bird’s eye view of the Alps. You will actually ignore the cold air when you get stunned at this grand mountain scenery. 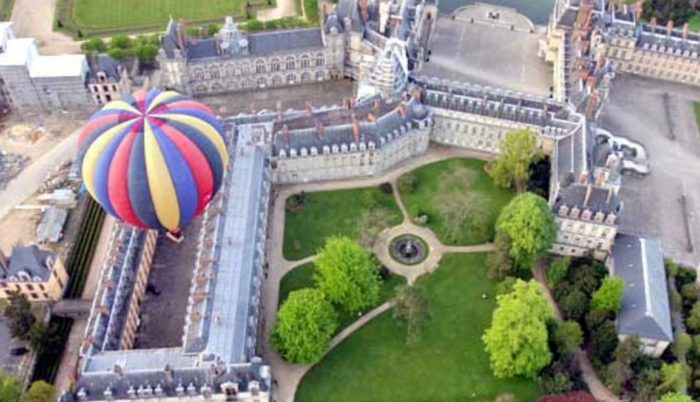 A three-hour hot-air balloon ride is best to enjoy an above ground sight of the sweeping vineyards, flourishing forests and fairytale style castles of Loire Valley. Marvel at well-known landmarks such as the Chateau of Chenonceau or the gardens of Villandry. Explore the rolling hills of the valley as you float on air above the orchards, vineyards, and forests, stretching the range along the Loire River banks. Fly high on a two-hour hot-air balloon experience above the scenic trail of northeast Mallorca in Spain. Take an aerial shot of the blissful beaches and lush vegetation from a different view. Take off from Cala Milor as your excitement elevates upon watching some panoramic scenes from below. Sail high above the ground and savor the moment as you take pictures of the shimmering sea surrounding the captivating islands. Treat yourself to a hot-air balloon flight above the Lazio countryside in Italy just outside of Rome. Experience the serenity of traveling on heights early morning as you take off at Magliano Sabina. As you soar to about 2,000 feet above the ground, feel an extreme rush that is thrilling but peaceful. Get the chance to witness bird’s eye view of historic castles, vineyards and attractive rolling hills speckled along cypress trees. 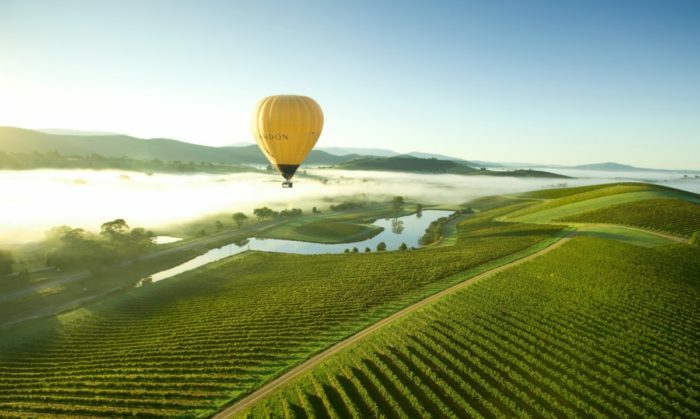 At Yarra Valley in Australia, you can enjoy a hot-air balloon ride above the popular vineyards of Burgundy, just between Beaune and Dijon. Burgundy is the place where the balloon company was established many years ago. Most popular for its gourmet delights, classic wines, and chateaux, Burgundy boasts a taste of the spirit of France to its visitors. Get above-ground views of the famous wine villages that surround Beaune. Considering its abundant historical and architectural legacy, Beaune is well-known as the Capital of Burgundy wines. Enjoy your flight and take good shots of the attractive glazed tile roof of Hotel Dieu, and explore the vineyards and get a stunning view of the Canal of Burgundy as well. 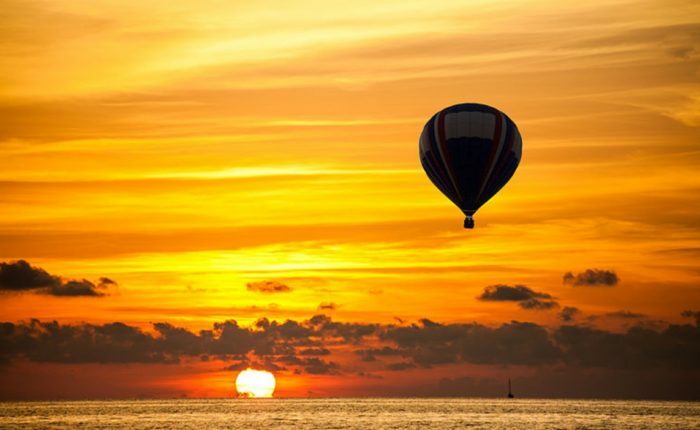 Muelle, San Carlos is in Costa Rica that provides a hot-air balloon venue to those seeking joyful rides above the ground. Costa Rica is well-known to be one of the many countries to provide most alluring areas for ballooning in the globe. You get to experience slow gliding, not too much high above the ground. You will be able to capture a glimpse of the rain forests or charming mountain villages. Explore breathtaking views of gigantic trees in the woodland as you witness monkeys transferring from one tree to another. You might want to video capture such scenes so brace yourself. Sometimes the climate condition changes so there are instances that you might realize you are already scaling high on top of the clouds. This is when you get a near perfect view of the Arenal Volcano, which is a dormant volcano worth discovering above on air. 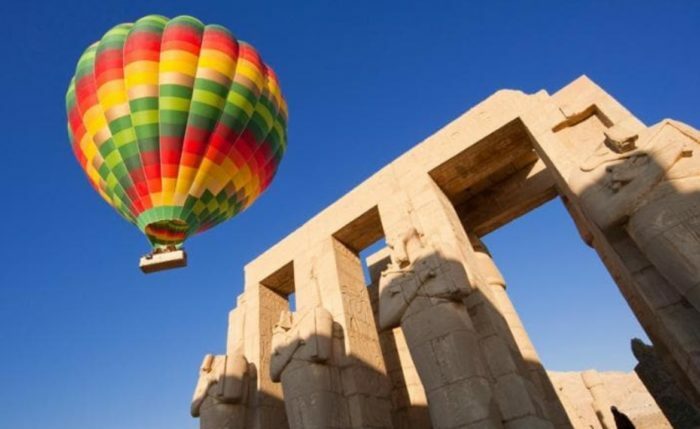 Truly, planning a hot-air balloon trip to be included on your holiday vacation would be ideal if you research well about the destination you will choose. Knowing the traveler’s feedbacks and satisfaction score would help you determine which flying destination to book.